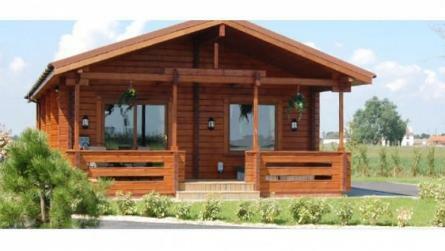 You can now buy a lodge kit to build yourself in Spain, France Portugal and Italy. All timber lodge kits are finished to the profile of your choice and are complete with roof joists, floor joists, floor, external walls, internal walls, windows and doors. Full instructions are included in English and the language of the destination. We will show you how to build the base and include the services and then how to build the lodge. For a competent builder this is a 4 man job for 3 weeks. The roof tiles are supplied from a local provider and should be lightweight in metal and coated. Standard slate is possible too. Copyright © 2006-2017 Superb Bespoke Timber Framed and Solid Timber Lodges. All Rights Reserved.